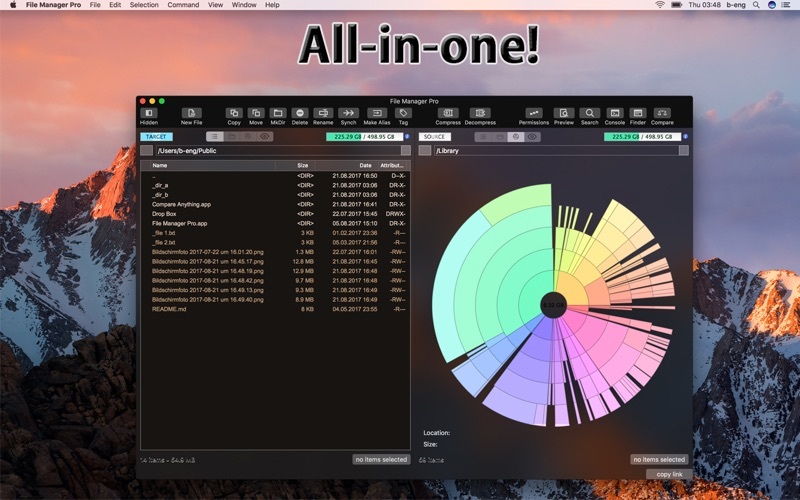 File Manager Pro comes with a classic double window view for easy file handling and includes many extras like preview, compare, sync, compress and various editors. File Manager Pro allows you to manipulate folder content as well as single files in various ways. 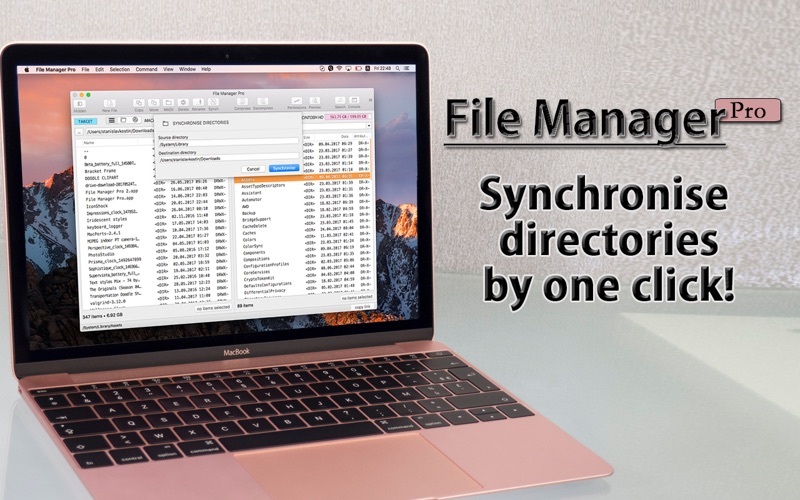 No matter if you want to compare the content of a whole drive or just a folder, File manager can do it. And when needed you can sync single folders or complete drives. 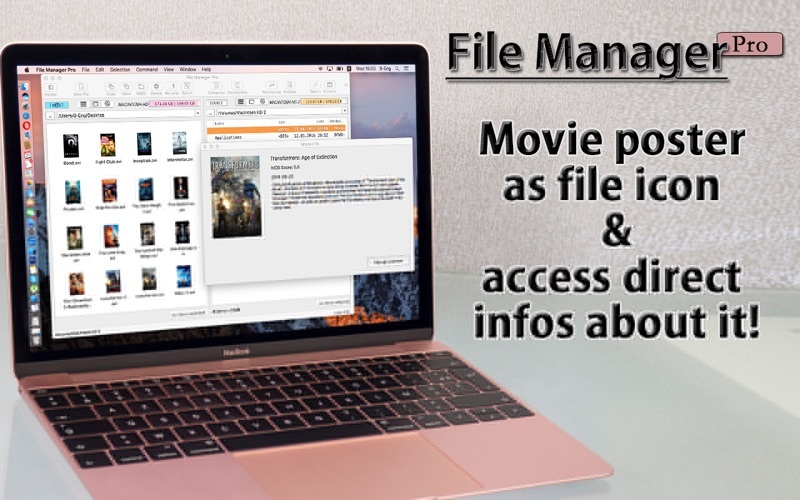 For better comfort is a preview for all kind of file types available - be it MS Office, Libre Office, txt or movies, File Manager Pro provides you with an overview. And if you have tons of movies on your drive or NAS, don't worry, File Manager gets rid off the black preview icon you are used to see for movies, it shows the correct icon and description for the movie! Of course, a professional file manager can't go without a disk overview in a clickable graphic display to zoom into the content of the drive. 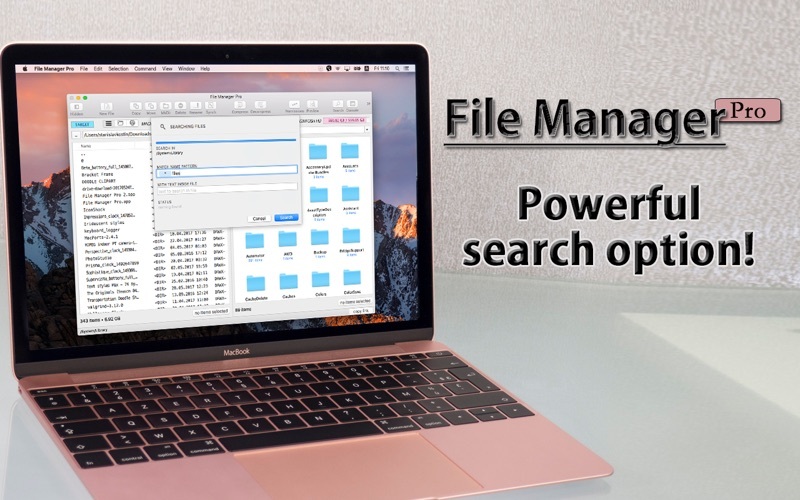 If you need a professional tool to manage your drives content, if you are looking for a truly professional file manager with a huge range of included tools, then your search ends here!